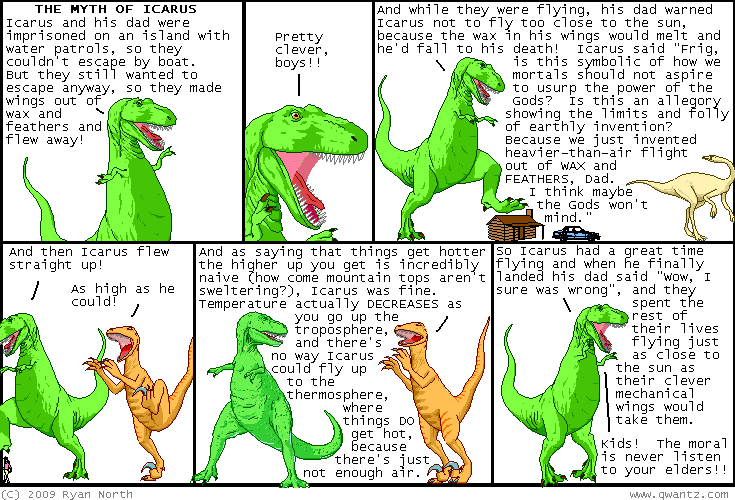 Dinosaur Comics - April 23rd, 2009 - awesome fun times! April 23rd, 2009: Jellaby: Monster in the City is out today! It's by my friend Kean Soo and it's really good. You can read a preview here, which has the added benefit of featuring a SECRET RYAN CAMEO. You can get it on Amazon and it's only 10 bucks, you guys! Also! A while ago I did a comic where T-Rex nicknamed his weiner "Plan B". I was unaware at the time that there's actually a morning-after pill called "Plan B", which, frankly, is an amazing name for a morning-after pill. Anyway, the point of this story is that Laura just emailed me this news article, which given the T-Rex context, has a pretty hilarious headline.